Manila, Philippines – The Board Licensure Examination for Professional Teachers (BLEPT) was rescheduled as announced by the Professional Regulation Commission (PRC). The schedule will be on August 17, 2014. Those who are bound to take the examination will have to know the real schedule to avoid inconvenience. 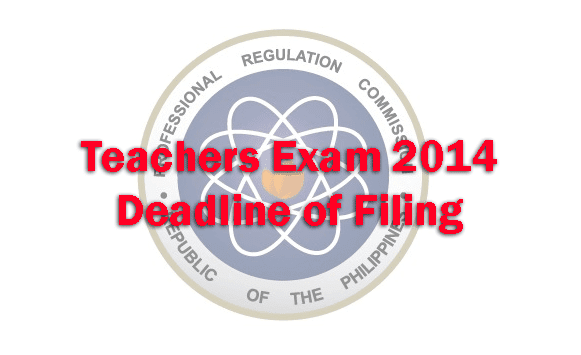 For professional teachers, it will be from July 27, 2014 to August 17, 2014 and the examinees should take note that the deadline for filing will be on June 15, 2014 in order to take the exam. Sanitary Engineers Exam Deadline of Filing is Here.